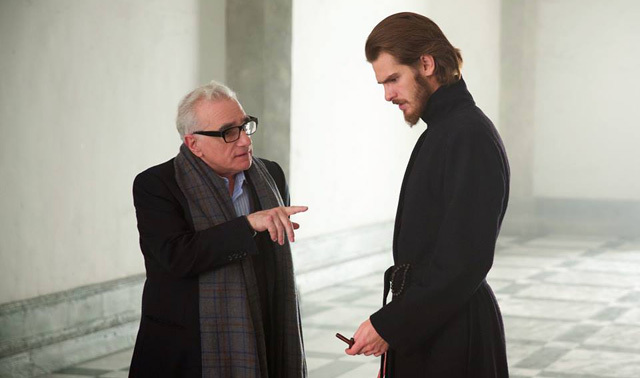 Martin Scorsese first read the novel Silence in 1989. Fortunately for Andrew Garfield, it took the celebrated filmmaker over a quarter-century of musing on the book by Japanese author Shūsaku Endō to get a movie adaptation made. Now 33-year-old Garfield stars in the religious epic opening in select theaters on December 23 ahead of a January 13 wide release. 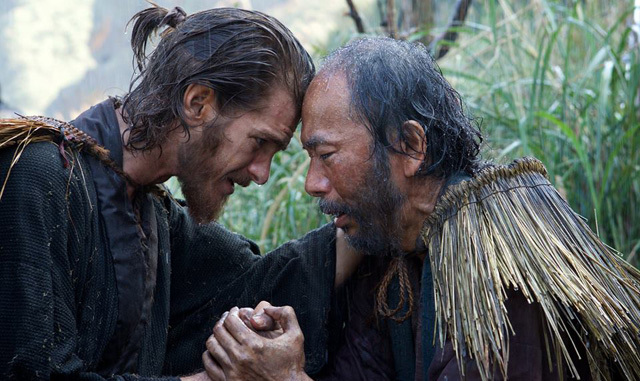 Set in the 17th century, Silence depicts two Jesuit priests’ dangerous journey to Japan, where missionaries and converted Christians face persecution as inquisitors force them to apostatize (to renounce their faith). Those who refuse suffer such cruelties as being strung upside down over a pit of excreta or being burned alive. Amidst these horrors, Fr. Sebastian Rodrigues (Garfield) encounters a cowardly Japanese man named Kichijiro, who ends up being key to Rodrigues’ powerful spiritual journey. To prepare for the film steeped in religious questions, Garfield worked extensively with Fr. James Martin (a Jesuit priest some will recognize from appearances on The Colbert Report). Garfield entered into the Spiritual Exercises created by St. Ignatius of Loyola, the founder of the Jesuits. The Exercises feature imaginative prayer, visualization of scripture that places oneself in Gospel scenes alongside Jesus, and it turned out experiencing that Jesuit practice took Garfield’s career full circle. CS: What an incredible year for you. Working with both Martin Scorsese and Mel Gibson a few months apart, what sense did you get of how their directing styles compare? Andrew Garfield: I worked with Marty first. He’s been at it for so long you — he’s such a master, and he makes you feel so comfortable, and he really trusts you with your work. He hires you for a reason, and he lets you know that. Every time I would be going through my own neurosis, my own doubts, he would just say, “You got it all right here.” [points to chest] “It’s all right there. Just trust that it’s there.” And that was a really wonderful thing to hear, especially from someone that you admire so much. Style-wise, his ear is so sensitive, so he needs a lot of quiet on set, whereas Mel is kind of a bull in a china shop. He’s all muscle and viscera and heart and feeling, and he’s always physically moving around and kind of can’t stop himself, which is an amazing energy too. Marty can get to that place as well, but my overall impression is Marty likes that stillness and quiet and creating that sacred space for the actors. Andrew Garfield: I think so. It was a very particular kind of project for him of however many years — it’s a prayer. The movie is a prayer. And he was praying all the way though. CS: You did what sounds like a massive amount of prep for this. Andrew Garfield: It was my pleasure doing all of that stuff. It was really enlightening exploration, something I’ve always been interested in. CS: The imaginative prayer aspect of Ignatian spirituality — how much was that something that felt natural to you, your profession being to put yourself in another’s shoes? 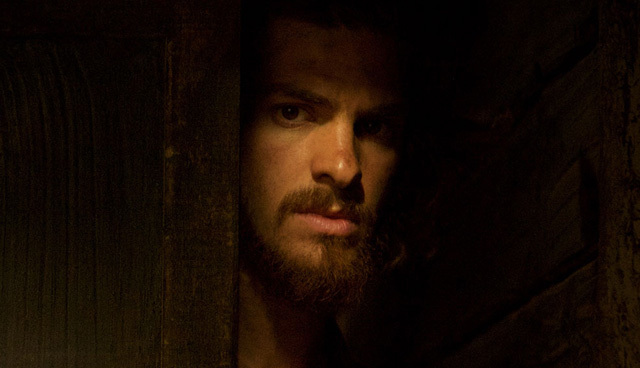 Andrew Garfield: I did the Spiritual Exercises, and my spiritual director, Fr. Martin, a Jesuit priest — he told me Stanislavski was massively inspired by the Spiritual Exercises and that they inspired [Carl] Jung to create active imagination with archetypal symbols and all that. Those things are part of my vocabulary as a performer and as a person. I use that stuff on a daily basis. So it was like, “Oh my God, this is insane.” It’s just profound what he left for us all, this Ignatius dude. It was like putting on a nice, old, worn pair of shoes for me. CS: Tell me about doing the seven-day silent retreat. What were you able to bring to your performance having done that that you don’t think you would otherwise? Andrew Garfield: It was pretty amazing. ’Cause it enables you to tune into yourself and into whatever messages that are coming in if there are any messages coming in in a deeper way. That was my experience, that you need to get underneath all the noise somehow. When you meditate or pray, the idea is you enter a sacred space where you can commune with the divine or whatever you want to call it. A lot of the film is Rodrigues praying. It’s a lot of him in prayer with a seemingly, supposedly silent God. To be comfortable and to create a language for myself where I felt convinced that I myself was in communion or attempting to be in communion with God. Those seven days really enhanced my ability to convince myself that I wasn’t bullsh*tting. 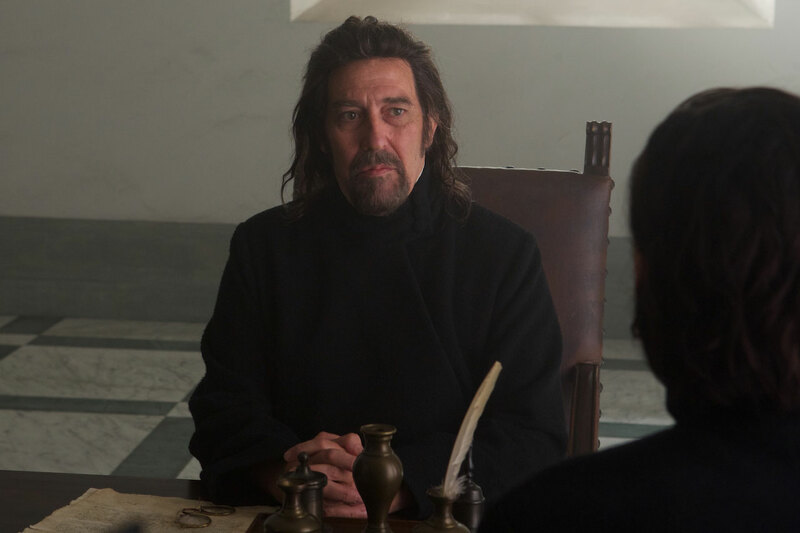 CS: It’s impressive that the film deals with matters of faith so head-on and throughout its run time. It’s rare to see that in a mainstream movie that’s not a “faith-based” film for a specific audience. What are your hopes or expectations for how audiences will respond to that? CS: That is the hope. Andrew Garfield: That’s the hope with every film, a false hope. But that’s not possible. But the beauty of this film — and I’m already feeling it — is the subjectivity that people are coming away with. Everybody is having such distinct experiences. Some people seem to love it. Some people are struggling with it, and that’s absolutely great. It is a film that is a reflective pool. I think it tells each person who they are, in a way. There’s nothing didactic about it. There’s nothing manipulative about it. I once sat with a holy man in Bhutan, a lama, not the Dahli Lama, but a lama, and it was like sitting with a reflective pool. I think the film has that quality. It faces people with themselves, and so their responses are very revealing, whether they are deeply moved by it or deeply offended by it or bored by it or inspired by it. CS: It was interesting sitting in the packed screening room hearing responses to the character Kichijiro — people around me were scoffing or muttering “this guy” when he’d keep showing up. CS: Tell me about achieving the balance between your character’s compassionate interactions with Kichijiro and his very human reactions of disgust toward this cowardly man. Andrew Garfield: It’s very easy for me to have that kind of split response to that character. I can relate a lot to how Rodrigues feels about him and how I relate to that part of me. I want to reject the parts of me that feel cowardly and sniveling and meek. I’m very good at criticizing those parts of myself. And yet I know that I’m supposed to love every single aspect. Kichijiro is the part of me that I just did not want to own, I wanted to keep away in shame. One of the most moving moments in the film for me — I get choked up whenever I see it — is when Rodrigues says [to Kichijiro], “Thank you for being here with me.” And he says it in Japanese first, which I love. You can feel that he’s really humbled himself, that he’s really let go of any of these delusions of grandeur of being better than anybody else. And I found some great relief in playing that, for Rodrigues and for me. Accepting one’s own humanity, one’s own confusion, one’s own doubts, one’s own ability to doubt and be imperfect. It’s a very important lesson to move through. CS: What was the most difficult day on set? CS: You shot the film mostly in order, right? Andrew Garfield: Mostly yes, section by section. It would have been a pretty different film if we hadn’t been able to do that. It really helped and added to the experience. CS: And I gotta ask about the “Spider-Man: Homecoming” trailer. I bet you have mixed feelings about all that, but what did you think of the trailer and getting to be a fan again watching that? Andrew Garfield: I’m not feeling mixed right now. I’m really excited. And I’m really happy that it’s going to be on the big screen. I’m excited to watch it, and the trailer looks really good and Tom [Holland] is a really talented actor. Yeah, the feelings are pretty good. I feel like some closure has happened around that for me, and I’m just excited to be a fan.